Companies looking for drivers, mechanics and dispatchers. Oklahoma City, OK, USA (October 15, 2014) — On Saturday October 18, 2014 The Oklahoman Newspaper will be holding its first ever Transportation Career Fair with twenty one top employers in attendance recruiting for drivers, mechanics and dispatchers. The transportation industry has more than 300,000 opportunities available in the US today. Oklahoma City is a major transportation hub. Nancy Simoneau is the event coordinator. “This is such an exciting career opportunity. We have some of the biggest names in the industry exhibiting. Stevens Trucking for example is one of the top companies that offers paid training for Drivers. These employers are looking for local, regional and OTR Drivers as well as Owner Operators. This is a great opportunity to come and talk to multiple recruiters in one setting,” she said. Forbe’s Magazine recently reported that the transportation industry represents the greatest employment opportunity in the country today and salaries have never been higher. “It is a common misconception that jobs in this industry are tough to get and all driving jobs are OTR or long haul. While there are a number of good positions in the OTR category and many candidates find that appealing, there are also just as many local driving jobs and positions in support services,” noted Sela Rodriguez, Vice-President at USTruckerjobs.com, a sponsor of the event. The Career Fair will be held at the Plaza Mayor at the Crossroads of I 35 and I 240 in Oklahoma City from 10:00 AM to 2:00 PM. View some of the many opportunities at JobsOk.com. 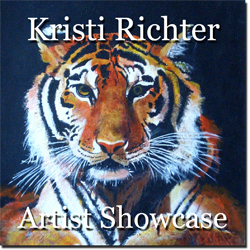 Light Space & Time Online Art Gallery is extremely pleased to announce that artist Kristi Richter is their newest featured artist. Jupiter, FL, USA (October 15, 2014) — Light Space & Time Online Art Gallery is extremely pleased to announce that artist Kristi Richter is their newest featured artist. Kristi will now be presented in the Gallery’s Artist Showcase section for the next month. Kristi Richter was born and grew up in Chicago and now resides in Nashville, Tennessee. Art has always been a priority, and she owes her zealous interest due to her grandfather, who was a professional commercial artist and had a studio in Chicago. Her mother was also an artist, so she inherited talent from both sides of the family. Kristi followed an art curriculum through high school, but it was when she attended The American Academy of Art and Chicago Academy of Fine Arts respectively, that she really started to understand her potential and how to express it. Her studies introduced her to the many facets of art such as advertising, illustration, calligraphy, photography, scratchboard, abstract, design, charcoal drawing with live models, and color schemes. Over time, she was able to recognize her weaknesses and sought ways to improve them, and she solidified her strengths. Kristi’s favorite medium is acrylics because they blend easily, dry quickly and the colors are opulent and vibrant. Most of her work is done in acrylics and has included pet portraits, posters and advertisements that are animal-related. She has also written and illustrated a children’s book about a dog which she would like to publish. Kristi’s definitive objective is to start a business exclusively doing pet portraits or a favorite wildlife creature rendered in acrylics, scratchboard, watercolor, abstract, and cartoon. She has designed a business card and advertising poster and her logo is “Kristi’s Kritters”. Kristi can be reached at keddywumpus@yahoo.com. Light Space & Time – Online Gallery offers monthly art competitions and monthly art exhibitions for new and emerging artists. It is Light Space & Time’s intention to showcase this incredible talent in a series of monthly themed art competitions and art exhibitions by marketing and displaying the exceptional abilities of these worldwide artists. Their online gallery website can be viewed here: http://www.lightspacetime.com. Rosendin Electric Recognized for Harnessing Mobile Computing Technology to Automate Material and Tool Management from the Job Site. San Jose, CA, USA (October 15, 2014) — Rosendin Electric, the nation’s largest private electrical contractor and an employee-owned company, today announced the company has received the Gold Constructech Vision Award in the Specialty Contractor: Electrical Work category. The award was recently announced in Redwood City, California, following Constructech magazine’s Technology Day. The Constructech Vision Awards acknowledge companies that have stayed up-to-date on the latest trends and products in order to make decisions that have helped their businesses succeed and thrive. Rosendin Electric was selected for a Gold Vision Award for developing a new mobile app that works with the Autodesk® BIM 360™ Field platform to streamline material and tool management for field personnel. Rather than manually listing materials or equipment and generating paper or email requisitions, the Material and Tool Management App allows the field team to use mobile devices to order conduit, wire, fixtures, and other materials. The requisition is automatically routed for approval and fulfillment by purchasing, the equipment yard, Tool Manager, or other departments. The App is designed to check inventory before generating a purchase order and every order has a QR code that tracks the materials from shipping to the final installation location. The App has even been extended to support Rosendin Electric’s pre-fabrication unit where assemblies are built, coded for tracking, and shipped to the job site. With the deployment of the Material and Tool Management App, Rosendin Electric has been able to dramatically reduce the time required to process materials and equipment orders. It has also reduced shipping and receiving errors and provides excellent materials tracking. Furthermore, the App has been designed to integrate with the existing document repository software and mobile technology already in use so no additional software or training were required. Rosendin Electric also received a Gold Constructech Vision Award in the category of Specialty Contractor: Electrical Work in 2011 and 2012. Rosendin Electric, Inc., headquartered in San Jose, California, is an employee-owned electrical engineering, power and communications provider and is the largest privately held electrical contractor in the United States. With over 5,000 employees and experience worldwide, Rosendin Electric has built upon a 95-year reputation for quality design and installations. For additional information, visit http://www.rosendin.com. Jen Kane’s concert highlights activities during Riverhead’s Edgar Allan Poe Festival on November 1st. Riverhead, Long Island, NY (October 14, 2014) — The ever popular vocalist Jen Kane will be making a special appearance during Riverhead’s Edgar Allan Poe Festival in celebration of Halloween. Jen will perform in a children’s concert titled Little Monster Costume Party on Saturday, November 1st at 6 PM at the Vail Leavitt Music Hall on Peconic Avenue in Riverhead. Ms. Kane has done live music theater and countless performances for children’s theatre from Manhattan to Long Island’s East End that have thrilled children and their families. Her powerful alto voice has graced stages in leading roles as Eva Peron in Evita, Anita in West Side Story, a run in Smokey Joe’s Café, and Why Oh Why Can’t I, an original Judy Garland musical, a two-year stint in Swing! 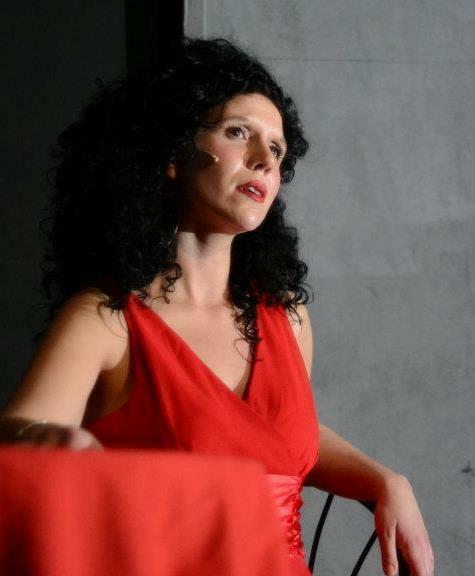 as Ann, and again in a lead role as Esther in Meet Me In St. Louis. Activities taking place during the Edgar Allan Poe Festival weekend sponsored by the Town of Riverhead and the Riverhead Business Improvement District include: a Main Street Riverhead Halloween Parade on October 31 at 7 PM, trick-or-treating at various downtown businesses on Halloween, readings by numerous Long Island authors, various street skits, street musicians, and impromptu performances and surprises at downtown venues. Edgar Allan Poe’s works as well as spooky Halloween themes will be central to all of the events. The Vail-Leavitt Music Hall is a National Historic Landmark that was built in 1881 and modeled after the Ford Theater in Washington, DC. Also appearing in the evening’s music presentation before Ms. Kane is Grammy Award nominee children’s performer Brady Rymer. Fireworks follow the concert outside the theater. All events during the Edgar Allan Poe weekend are free and open to all ages. Riverhead’s Edgar Allan Poe Festival is taking place under the expert guidance of Sal St. George. “We are thrilled to have two first rate children’s entertainers sharing the stage at the Vail Leavitt,” says Creative Director, Sal St. George. “This will be a program you will not want to miss.” St. George’s original programs have been featured at Disney World, Busch Gardens, and Sea World. He is known on Long Island as the creative force behind Port Jefferson’s Dickens Festival and other notable events. Riverhead’s Edgar Allan Poe Festival takes place October 31st, November 1st, and November 2nd throughout downtown Riverhead. All events during the Edgar Allan Poe weekend are free and open to all ages. 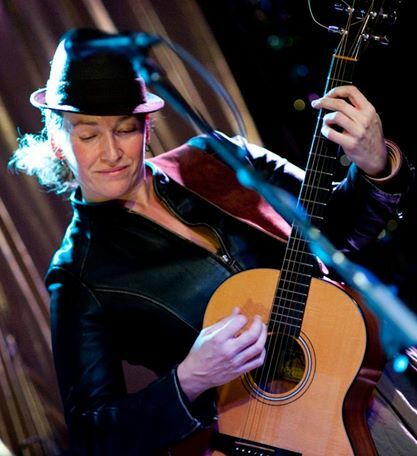 For more about Jen Kane please visit http://www.jenkane.net. Rosendin Electric’s Hillsboro Office Voted a Great Place to Work by Employees. Hillsboro, OR, USA (October 14, 2014) — Rosendin Electric, the nation’s largest private electrical contractor and an employee-owned company, is proud to announce that the company has been selected as one of the 2014 Top Workplaces by The Oregonian newspaper. The Oregonian’s annual Top Workplaces are determined solely by employee feedback and the criteria for selection include qualities such as company leadership, communication, career opportunities, working environment, managerial skills, pay, and benefits. The company’s employees consistently rate Rosendin Electric high in categories such as health benefits, wellness coverage, work environment, and executive leadership. Employees also cite the Employee Stock Ownership Plan, 401k matching, and training and career development as reasons why they love the company. Rosendin Electric also takes pride in its safety record and how it cares for the well-being of its employees. This is the third consecutive year that Rosendin Electric has been named a Top Workplace by The Oregonian. In past years Rosendin Electric also has been selected as one of the Best Companies to Work For by Oregon Business. For more information about the Top Workplaces lists and WorkplaceDynamics, please visit http://www.topworkplaces.com and http://www.workplacedynamics.com. Building off of the momentum of past successful conferences, Golden Networking brings Cyber Security World Conference 2014 New York City (www.CyberSecurityWorldConference.com), forum that will bring the latest thinking from security experts to hundreds of senior executives focused on protecting enterprises’ information assets. New York City, NY, USA (October 14, 2014) — Cyber security is no longer a term to ignore for neither individuals nor corporations. The daily activities of all Americans, the country’s economic prominence and global security rely on a safe and resilient cyberspace. Yet the number of cyber-attacks has increased dramatically over the last years, exposing confidential personal and business data, disrupting critical operations, and imposing high costs on the economy overall. Just recently, J.P. Morgan Chase, America’s largest bank with $2.39 trillion in assets, announced that about 76 million households and 7 million of small-business customers had been affected by a cybersecurity attack in one of the most sweeping disclosed global breaches. The bank said the unknown attackers stole customers’ contact information, which included names, email addresses, phone numbers and addresses, affected an amount equivalent to two-thirds of American households. A brief walk down memory lane of some the biggest recent cyber-attacks now include Adobe Systems, Automated Data Processing, Citigroup, E*Trade Financial, Fidelity Investments, Home Depot, HSBC, Nasdaq OMX, Neiman Marcus, Target and Wal-mart. It is not unlikely to consider that the information of every American has already been compromised in any of these publicly disclosed attacks. Golden Networking’s Cyber Security World Conference 2014 New York City (http://www.CyberSecurityWorldConference.com) will provide a platform for information security authorities and innovative service providers to distil their latest thinking for hundreds of senior executives focused on protecting today’s enterprises. Cyber security experts will discuss topics such as protecting individuals and companies against cyber-attacks, biometrics as the future of security, risks brought by mobile computing, and protecting corporate and national infrastructure against foreign attacks. • Is Biometrics the Key to Personal and Corporate Security? Cyber Security World Conference 2014 is produced by Golden Networking, the premier networking community for business and technology executives, entrepreneurs and investors. Panelists, speakers and sponsors are invited to contact Golden Networking by sending an email to information@goldennetworking.com. Carolyna Lovely’s newest release “I Can Give You Love” is a haunting solo performance. Carolyna Lovely makes her way around the world, playing her music for her fans, no major label deal, but in the midst of everything a writer/performer could wish for: acceptance of her songs in her own time.